On July 21, 2010, Chuck's Parking Service was part of an exclusive photo shoot for Fortune Magazine. 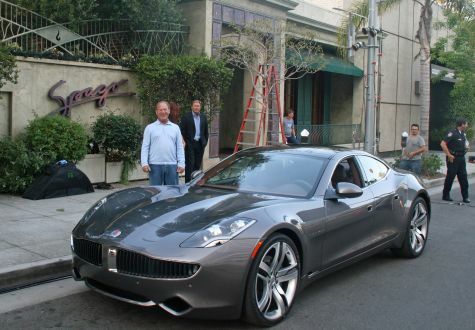 The article is featuring the brand new Karma by Fisker Automotive, their first hybrid vehicle. In the picture is Chuck with Henrik Fisker, founder of Fisker Automotive, in front of Spago Beverly Hills.